This light weight slip lead is appropriate for a medium to small dogs. 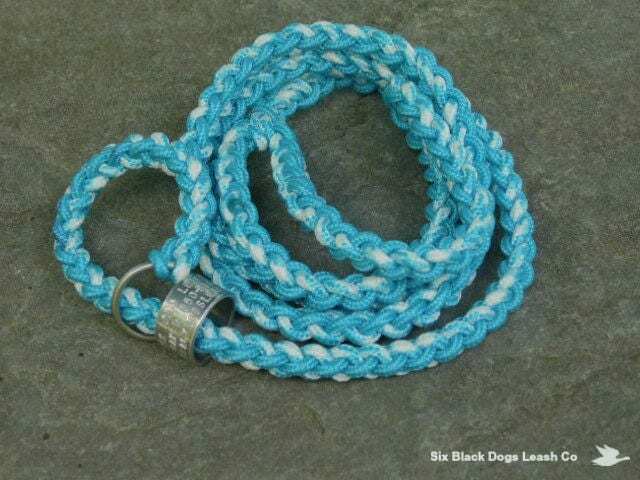 Made with teal/white paracord. Made with 325 paracord using the 4 strand round braid. 3 feet in length including handle. 1" light weight soldered "O" ring. You will enjoy the light feel of this leash. Easy to put in your pocket, training bag, or hang around your next while training. Not suggested for larger dogs, heavy pullers.